Are you looking to be challenged and tested in a fun scenario? 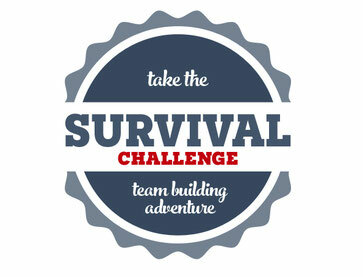 You and your work colleagues compete in teams to overcome several basic survival tasks, earning and gaining points to discover which team or individual really has was it takes to survive until rescue. All Team Building Adventures will be held on 88 acres of private farm and woodland in the heart of Hampshire. You will be greeted at the Oast House where we have plenty of secure parking for your vehicles. If you are arriving by public transport we can arrange transfers from nearby train and coach/bus stations. The first thing to understand about this adventure is that you will not be uncomfortable, cold and hungry. We will be looking after you throughout with clear instructions, demonstrations and good food and wine, so please relax and enter into the spirit of a survival adventure. We will simulate a scenario where you and your group have survived a plane crash. You find yourselves lost in the wilderness with no immediate assistance! What do you do next? This is where you start your team building adventure. We aim to demonstrate a number of necessary survival skills, techniques and knowledge that will guide you and keep you all alive and well until rescue (tomorrow afternoon). The main aim is to have plenty of fun and enjoyment as you progress through the challenges. We are sure you’ll learn some new skills and experiences, especially when you are competing for points in your smaller teams. You have everything to play for, if trying to stay alive is not enough of an incentive then perhaps trying to win the coveted Survival Challenge Trophy may well be. The team building aspect of this adventure is a crucial part. Everyone will have the opportunity to lead and be led. Working together is the key factor – a true survival situation requires everyone to pull together to stay alive. Nobody will be singled out and allowed to fail everyone will pull together, enjoy the challenges and achieve their goals.